RANGOON, BURMA (BosNewsLife)-- Burmese Christians are being denied aid by local Buddhist authorities after devastating flooding killed more than 100 people, while many survivors remain afloat in boats and others return to homes or fields sealed in mud, missionaries have told BosNewsLife. 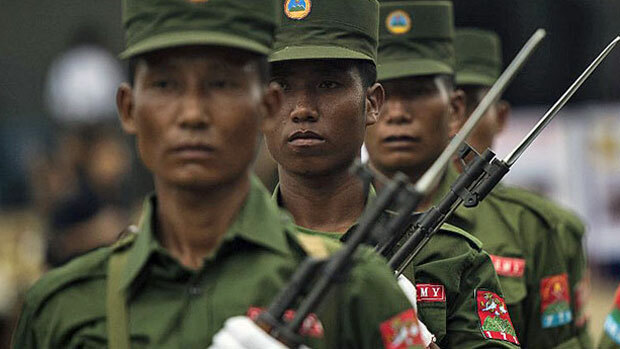 YANGON, BURMA (BosNewsLife)-- Two young women have been raped and killed in Burma because of their Christian work in a Buddhist village, Christian activists said in comments monitored by BosNewsLife Saturday, February 21. BUDAPEST, HUNGARY (BosNewsLife)-- Burmese opposition leader Aung San Suu Kyi has warned the United States and European Union not to be "over-optimistic" about Burma and said her Asian nation is not yet a democracy, despite sweeping reforms after decades of military rule.